* Alexandra Timmer, 'Toward an Anti-Stereotyping Approach for the European Court of Human Rights, Human Rights Law Review (Vol. 11, no. 4, 2011). * Cedric Ryngaert, 'The European Court of Human Rights’ Approach to the Responsibility of Member States in Connection with Acts of International Organizations', International & Comparative Law Quarterly (Vol. 60, no. 4, 2011). * C. Popa, 'The guarantee of the person's right to liberty and security before the national courts and the European Court of Human Rights, referring to the reasonable term of the procedures', Acta Universitatis Lucian Blaga (no. 1, 2010), pp. 273-280). * G. Blower and C. Kelly, 'Thematic analysis: criminal law, evidence and the European Court of Human Rights', Cambridge Student Law Review (vol. 7, no. 2, 2011) pp. 38-41. * N. Croquet, 'The European Court of Human Rights' norm-creation and norm-limiting processes: resolving a normative tension', Columbia Journal of European Law (vol. 17, no. 2, 2010/2011), pp. 307-374. 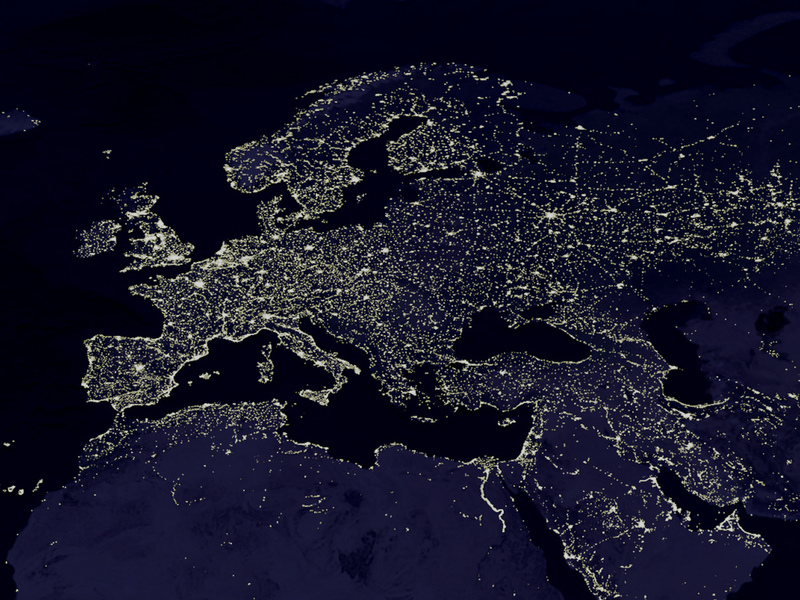 * D. Regan, '"European consensus": a worthy endeavour for the European Court of Human Rights? ', Trinity College Law Review (vol. 14, no. 1, 2011), pp. 51-76. * A. Pin, 'Public schools, the Italian crucifix, and the European Court of Human Rights: the Italian separation of church and state', pp. 95-150. * J. Cornwall, 'It was the first strike of bloggers ever: an examination of Article 10 of the European Convention on Human Rights as Italian bloggers take a stand against the Alfano Decree', p. 499-538. The HELP Programme assists national training institutions in developing their curricula for initial and continuous training, updating the HELP website, developing ECHR courses, modules and methodologies, organising pilot E-learning training courses and reinforcing the capacity of national ECHR trainers. It builds on already existing structures and training courses, inter alia by providing and enhancing possibilities for co-operation and the exchange of information among beneficiary countries. The project already includes the national training institutions for judges and prosecutors of 13 Council of Europe member states: Albania, Armenia, Azerbaijan, Bosnia and Herzegovina, Bulgaria, Croatia, Georgia, Moldova, Montenegro, Russian Federation, Serbia, The former Yugoslav Republic of Macedonia, Turkey and Ukraine. The websites includes announcements on national training events and links to relevant blogs. * Nicolas Bratza (current president of the Court) has published an article entitled 'The relationship between the UK Courts and Strasbourg' in the European Human Rights Law Review (2011, No. 5, pp. 505-512). * Martyn Bond, 'The Council of Europe Structure, History and Issues in European Politics', published by Routledge. * The Dutch Advisory Council on International Affairs (AIV) has published a new short advisory report to the Dutch government on the European Court of Human Rights. Unfortunately it is thus far only available in Dutch, but it will get translated in the near future. And finally, although I do not usually post about myself on here, this is something I am so happy about that I wanted to mention it: just last week, the Royal Dutch Academy of Sciences (KNAW) decided to appoint me as one of this year's ten new members of its Young Academy. In their own words, that is "a dynamic and innovative group of top young scientists and scholars with outspoken views about science and scholarship and the related policy. The Young Academy organises inspiring activities for various target groups focusing on interdisciplinarity, science policy, and the interface between science and society." I am truly honoured by this appointment and look forward very much to contributing to the Academy's activities! 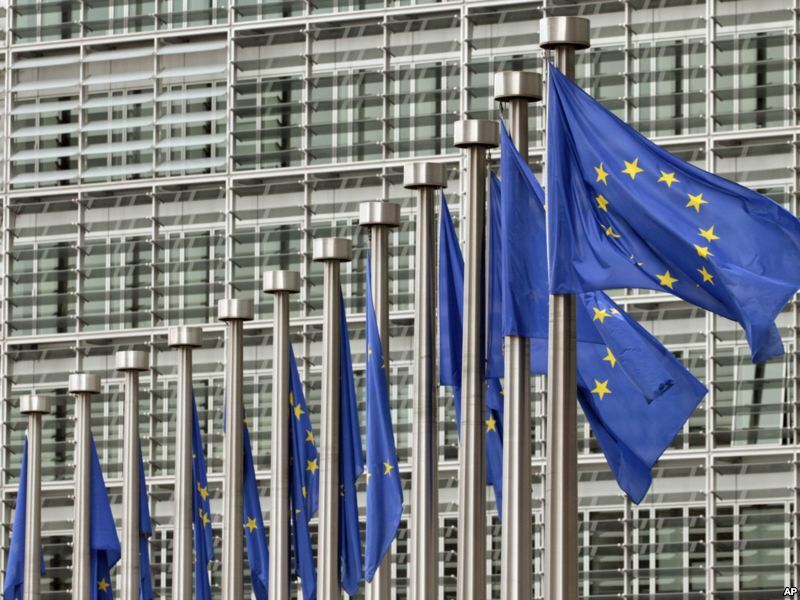 This article outlines the European Union’s gradual progression towards a legal obligation to observe human rights: a series of stops and starts from Brussels to Strasbourg with a starring role for Luxembourg and significant supporting roles for Berlin and Karlsruhe. This commitment towards human rights will acquire a new dimension. The Lisbon Treaty requires the European Union to accede to the European Convention on Human Rights (ECHR). With the entry into force of the 14th Protocol to the ECHR, Strasbourg too is now ready to accept the EU as a party to the Convention. But the real work is still to come: the negotiations about the modalities of the accession are underway. This article looks at the main subjects for discussion. Is the EU, as a new party to the ECHR, the ultimate anniversary gift for Strasbourg, or is it a potentially troublesome guest at the party? "The yearly cost of a judge at the European Court of Human Rights is higher than the annual contribution made by 15 member states. The total budget of the Court, €58.96 million in 2011, is far less than the budget of the EU Publications Office and less than a quarter of the budget of the Court of Justice of the EU, with a total of 1,230 completed and 2,284 pending cases in 2010, compared to 41,183 applications decided by the Strasbourg Court and 139,650 pending applications. 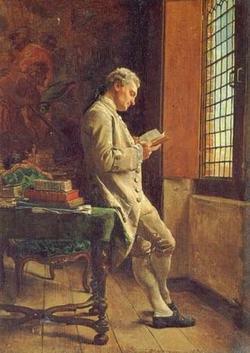 The present situation is simply untenable, not to say suicidal." 58. 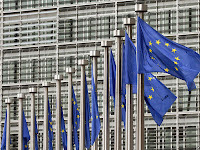 Primary responsibility for applying Convention standards lies with domestic courts and authorities; the Strasbourg Court should play a secondary role. This is embodied in the principle of subsidiarity. It is understood that states, in most instances, provide a higher level of protection than the “common European standard” guaranteed by the Court in Strasbourg, and their national authorities are accorded a certain latitude in the implementation of Convention rights, on the understanding that it is the Strasbourg Court which has the final say in cases brought before it: Articles 19, 32 and 46 of the Convention. 59. The statistics, in Strasbourg, look somewhat alarming. The stock of pending applications before the Court stands at 160,000, and the volume continues to rise by over 10% per year. The Committee of Ministers had 9,922 cases pending before it at the end of 2010. But of the pending cases, only some 13% of these were “leading” cases, i.e., those identified as revealing new systemic/structural problems requiring the adoption of new general measures. The rest, amounting to 87%, are in principle clone or repetitive cases. That said, it is it is evident, as indicated by the Court’s Registrar, that the “root problem... is simple and well known: there are too many applications coming to the Court compared to its current capacity.” Numerous attempts to reform the system in Strasbourg have not been able to ebb the overwhelming tide of new applications, diminish the Court’s backlog or, so it is claimed, to create a sustainable system that will continue to be effective in the future. In this respect, it has been argued that even Protocol No. 14 has a Assembly’s and limited, specific lifespan, being merely a tool for the temporary survival of the system while other, more appropriate solutions, are sought. 60. Two separate, and yet intertwined, issues merit priority treatment. The first concerns the need, for the Court to be given the means to regulate the filtering of applications appropriately and deal with repetitive cases (as discussed in Section 3.5 above, at paragraphs 45-51). Governmental experts should not be tinkering with peripheral issues such as compulsory legal representation and the possible introduction of court fees before the Court. The Court has taken the bold step of adopting a “priority policy” which, if implemented rigorously, will “ensure that the most serious cases and the cases which disclose the existence of widespread problems capable of generating large numbers of additional cases are dealt with more rapidly.” By taking this decision, the Court has, in effect, provided “breathing space” to those engaged in the reform process, and will permit all concerned to re-focus discussion away from the obsessive concern with the rising backlog of applications before the Court and instead grapple with problems of “persistent defaulters” in which serious human rights problems exist. The future of the Convention system is in our hands, collectively, and not only in those of the Court. It is therefore principally for member states, their executive, judicial and parliamentary authorities to guarantee the authority and long-term effectiveness of the European Convention of Human Rights. The report also includes an extremely useful range of detailed references to the Assembly's earlier work on the issue and relevant literature and even kindly mentions this blog several times! * Ad Hoc judges at the European Court of Human Rights: an overview.This report is a very extensive tour d'horizon of the current rules and practice on ad hoc judges, including a comparison with ad hod judges in other international judicial institutions. The footnotes include a wide range of relevant literature for those particularly interested: a good starting point for further research. And for curious readers: one of the appendices is a list of all current ad hoc judges per country. 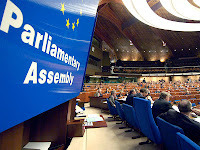 Considering the precarious situation of numerous national minority groups in Europe, the Assembly considers that it is time to reconsider its previous proposal concerning the adoption of an additional protocol to the European Convention on Human Rights, which could reinforce the standing of national minorities, both individuals and/or groups, before the European Court of Human Rights and provide them substantive and justiciable rights. The United Kingdom took over as Chair of the Committee of Ministers on 7 November 2011. It has published its ‘Priorities and Objectives’ and these include details of how the British government proposes to push forward the on-going reform of the European Court, and to strengthen the implementation of the ECHR. improving the procedures for nominating suitably qualified judges to the Court, and ensuring that the Court's case law is clear and consistent’. It is stated that the UK ‘will aim for a package of measures to be agreed by means of a Declaration at a Ministerial conference in the UK on reform of the Court’. The Declaration ‘will provide the basis of a Decision of the Committee of Ministers to be adopted at its annual meeting on 14 May 2012’.To get the ball rolling, the UK will host a conference (invitation only) at Wilton Park on a ‘2020 Vision for the European Court of Human Rights’ on 17-19 November 2011 (programme). The UK statement adds that it ‘will aim to provide the Court with political support from the Committee of Ministers for the measures it is already taking to prioritise and better manage its workload, and to provide a wide margin of appreciation to member states’ authorities in its judgments’ (emphasis added). Advice on reform from the (British) Commission on a Bill of RightsThe Priorities and Objectives may be read against the background of the interim advice offered by the (British) Commission on a Bill of Rights regarding reform of the Court. This body was set up by the British government earlier this year to examine the case for a British Bill of Rights, but its remit included offering advice on reform of the European Court. As can be seen from the interim advice, the Commission called for a review of the operation of Article 41, ECHR and the Court’s role with respect to it. It also called for a programme of fundamental reform establishing agreement ‘on appropriate objective and merit-based principles and rules, and adequate resources, for the selection of judicial candidates at the national level, and for the appointment process at the European level’. This no doubt reflects (at least partly) point 4 from the Priorities and Objectives (and see E8 of the Interlaken Declaration). Here we note that the Council of Europe has recently established an Advisory Panel of Experts to consider judicial nominations from Member States. This initiative was welcomed by the Commission, but there was also some criticism and it was suggested that the new procedure needed to go further. Incidentally, a job advert for the next ‘British’ Judge on the Court, to succeed Judge (now President) Bratza, was published recently. The main points made by the Commission, however, corresponded to points 1 and 2 from the Priorities and Objectives as set out above. Against the background of the Court’s unmanageable workload emphasis was placed on the need for the effective application of the principle of subsidiarity and effective screening of applications. 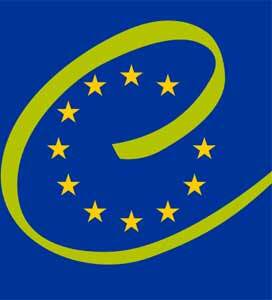 Here the Commission’s interim recommendation was for ‘an urgent programme of fundamental reform address[ing] the need to give practical effect and meaning to the essential role of the Court, by establishing a new and effective screening mechanism that allows the Court to decline to deal with cases that do not raise a serious violation of the Convention’ (compare to point 1 above as regards as the ‘most important cases that require [the Court’s] attention’). Such a proposal endorses the approach originally found in the Evaluation Group’s Report of 2001, but which met with resistance at the time. It will be viewed as controversial by those who insist that the right of individual petition and access to the Court for well-founded human rights violations must never be curtailed in any way (on which, see the Joint Statement issued by NGOs in response to the United Kingdom’s Priorities and Objectives, at p 2). To be clear, the proposal(s) just described is not set out in the British Priorities document, but it could come under ‘new rules or procedures’ as described in point 3. And, of course, with respect to subsidiarity, this lies at the heart of the Strasbourg jurisprudence whilst the need to strengthen this has been central to the philosophy of the Interlaken (especially ‘PP 6’ and ‘B4’)and Izmir declarations (points 5-7 and ‘B’). It has been suggested, however, that the emphasis on subsidiarity may have another dimension to it, at least as far as the British government is concerned. And here we may also recall the comment above about British support for the Court when it affords States a ‘wide margin of appreciation’. Subsidiarity - the (British) Attorney General’s London SpeechSuspicions were raised by a speech delivered in London by the British Attorney General, Dominic Grieve, on 24 October, when he stated that he looked forward to the British Chairmanship of the Committee of Ministers. This London speech was cautiously welcomed by some in the United Kingdom, but others expressed concern that there was something more sinister afoot. In this regard see especially the Joint NGO statement (on p 2 at paras 1-4), stressing that subsidiarity should not be a basis to ‘limit the Court’s substantive jurisdiction’ or significantly reduce its mandate to assess compliance with the ECHR. The Attorney General’s overall point on subsidiarity was that ‘the Court [should] afford Member States a wide margin of appreciation where national parliaments have implemented Convention rights and where national courts have properly assessed the compatibility of that implementation with the Convention’. As to the role of domestic courts, it was argued that ‘the [Strasbourg] Court should not normally need to intervene in cases that have already been properly considered by the national courts applying the Convention’. Of course, a question arises here as to who actually says what ECHR law is in the first place. Other than that I can see no problem with the Attorney General’s approach noting, of course, the proviso ‘not normally’, and, even more importantly, that the national court must have properly applied Convention principles in the first place. The approach taken by the Court in MGN v United Kingdom (2011, see para 150 especially) appears to be in keeping with the Attorney General’s proposal, and paragraph 9(a) of the Interlaken Declaration may be relevant here too. 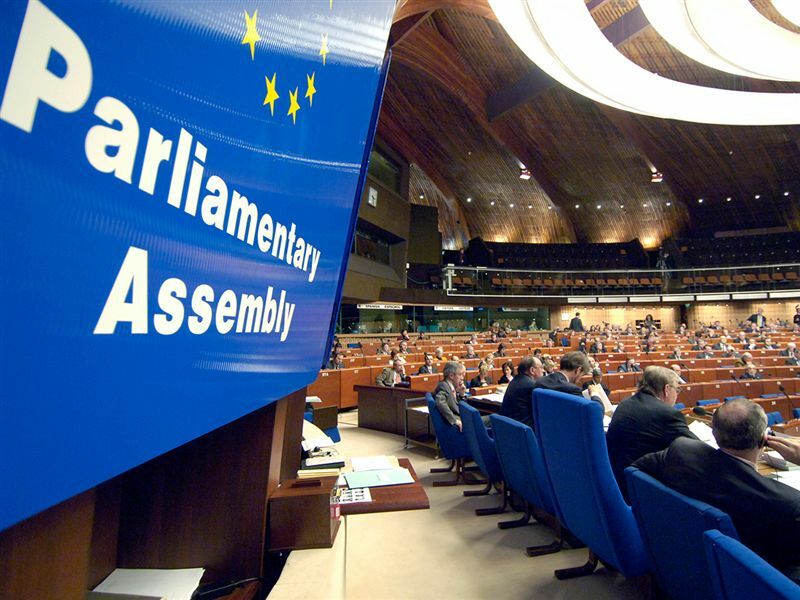 Regarding the role of national Parliaments, however, it has been suggested that the British government’s agenda is to water down the power of European Judges and preserve greater freedom of action on the part of individual states. ‘… the principle of subsidiarity requires the Court to accept that on issues of social policy such as prisoner voting, where strong, opposing reasonable views may be held and where Parliament has fully debated the issue, the judgement as to the appropriate system of disenfranchisement of prisoners is for Parliament and the Court should not interfere with that judgement unless it is manifestly without reasonable foundation…’. ‘The Court has frequently held that in matters of social or economic policy, on which opinions within a democratic society may reasonably differ, the role of the domestic policy-maker should be given special weight, and that the Court should intervene only in those rare cases where the decision of the national authorities is "manifestly without reasonable foundation"’. Subsidiarity and British plans for the CourtLet us put to one side the controversy associated with the fact that the British government is attempting to get Hirst (itself heard by a Chamber and a Grand Chamber) overturned and consider the general arguments put as regards the role of the Court as against national Parliaments. Do the submissions made in Scoppola and the statements made in the London speech offer an insight into some of the ‘new rules’ (point 3 of the Priorities and Objectives) that the British government would like to promote, and, assuming so, what should we make of them? The real issue is how far the emphasis on the principle of subsidiarity may be pushed. When presented along the lines of the London speech, a key question is what the yardstick would be for assessing whether there exists strong/ reasonable opposing views, and so what areas would benefit from the type of super-irrationality review approach being advocated. Of course, context will be everything. However, if the yardstick was whether the/ any individual national Parliament strongly opposed a change in relation to the matter in issue we would arrive at a sort of national veto on what the Court could do (at least for these special ‘social policy’ matters, however these are defined). By contrast, if the yardstick meant that Strasbourg rulings addressing such social policy matters had to accord with a sufficient European consensus, then the implications would be less radical. After all, this was the position (broadly speaking) adopted by the minority back in Hirst, reflecting the Court’s general position. Undoubtedly, however, in a Europe of 47 nations this would reduce the Court’s capacity to signal a gentle lead on certain human rights matters, prisoner voting being a very good example. (On this see, perhaps, the dissenting judgment in S. H. and others v. Austria (3 November 2011)). Here, of course, the burning question would be: what level of European consensus would be required? Strasbourg jurisprudence to date reveals that this depends on the context. At the very least it seems that the British wish to send a sharp reminder to Strasbourg judges that,when it comes to questions on which there is no clear European consensus,they are part of an international, not domestic constitutional court, implying limitations on their mandate - they should follow not lead. Domestic politics in the United KingdomThere are plenty of indications that a reduction in the power and influence of Strasbourg Judges would accord with the domestic political mood in the United Kingdom. The Strasbourg Court’s stance on prisoner voting has come in for intense criticism there, and sits alongside a number of other areas of law (notably concerning immigration matters and Articles 3/ 8) that have stirred controversy and given rise to a perception that the Court has become too intrusive and too often sets uniform, European standards. The Court has been the subject of high profile criticism on the basis that it lacks ‘constitutional legitimacy’, which was a key theme of a debate held in the House of Commons in February 2011 (a debate which was purportedly about prisoner voting, but was dominated by criticism of Strasbourg generally). And in this connection here we may return to the work of the Commission on a Bill of Rights in the UK. We learn from a separate letter published at the time of its interim advice on Court reform that there had been some debate about the Court’s ‘democratic legitimacy’. The Commission was clearly divided here (see page 5 of the letter). 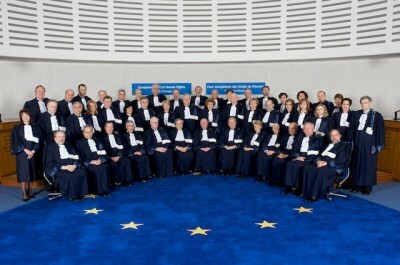 However there was discussion as to whether there was a need for a ‘democratic override’ in relation to Strasbourg judgments, or if not, ‘[t]he jurisdiction of the Court should be defined in such a way as to require it to respect the proper role of democratic institutions in determining social and economic priorities’. Other members of the Commission rejected these suggestions, arguing that they were not required. With the Court’s legitimacy under scrutiny various pieces have been written (in their personal capacity) by individuals very closely connected to it (see, for example, Judge Bratza’s recent article in the latest edition of European Human Rights Law Review, and Deputy Registrar Michael O’Boyle’s piece in the German Law Journal). It is undoubtedly the case, however, that a significant body of opinion in the United Kingdom remains hostile to the Strasbourg Court. We therefore wait to see if there is indeed a broader agenda behind point 3 of the British government’s proposals as noted above. Are we witnessing the first steps of an attempt to institutionalise a reduction in the Court’s power of review over aspects of domestic law, and related to this, its power to interpret the Convention in ways that may give rise to incompatibilities with domestic law? Of course, whether this would be achievable politically at the European level is a different matter. Ed Bates, University of Southampton. 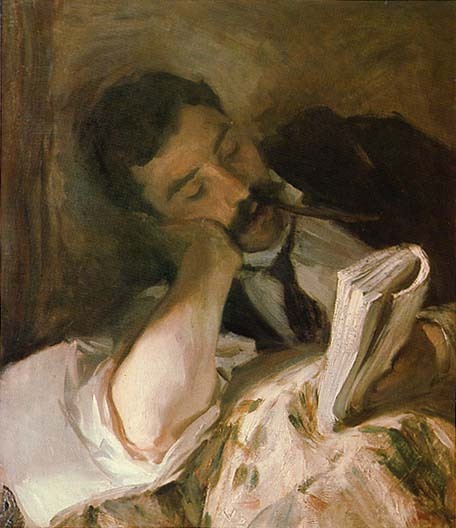 (Thank you to Antoine for permitting an unusually long guest blog!). This Paper offers a legal assessment of the draft agreement on the Accession of the EU to the European Convention on Human Rights published by the Steering Committee for Human Rights of the Council of Europe on 14th October 2011. It will recall the most contentious points debated before and during the drafting of the draft accession agreement before offering a critical review of how these points were addressed by the Commission and Council of Europe's experts. Fundamental rights provisions are known for their relatively vague and general formulation. As a result, judges dealing with these provisions are confronted with many and often controversial interpretative choices. These interpretative choices already present judges operating in a national context with difficulties, but that is even more so for European judges operating in a multilevel context. The European Court of Human Rights (ECtHR) and the Court of Justice of the European Union (CJEU) are often criticized for delivering judgments that contain debatable choices and do not offer sufficient insight into the reasons which have led the courts to make these choices. 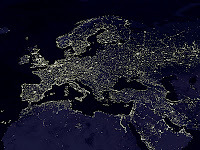 Especially in a multilevel context where the cooperation of national authorities plays an important role as regards the effectiveness of the European courts, it is important that interpretation methods and principles are used in a transparent manner so that the reasons that justify a specific interpretative choice are clear. This volume analyses the use of a selected number of interpretation methods and principles in the fundamental rights case law of the ECtHR and the CJEU. The use of teleological, comparative, evolutive and autonomous interpretation by the ECtHR and the CJEU are elaborately discussed on the basis of both legal theoretical literature and case law. 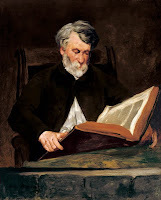 The legal theoretical analysis provides the basis for various relevant questions, hypotheses and (analytical) suggestions, that are further studied in the subsequent case law analysis. This leads to a thorough overview of the role of these interpretation methods and principles and the possibilities for improvement. Last week, on Friday to be precise, the new president of the European Court of Human Rights, Nicholas Bratza took up his duties, succeeding Jean-Paul Costa. See my earlier post on his election here. resource implications of effectively managing them. An important result of this is that the HRA is not used to achieve a balance between individual rights and community interests, but becomes a framework for mandating police decision making and protecting officers from criticism and blame. Secondly, professor Laurence Burgorgue Larsen, of the University of Paris I, is twice a year publishing a chronicle on the ECHR in French, entitled 'Actualité de la Convention européenne des droits de l'homme' in the French Administrative Law Review (AJDA - Actualité Juridique - Droit Administratif). A valuable resource for French speakers to stay informed of current ECHR developments! * J. Jacqué, The accession of the European Union to the European Convention on Human Rights and Fundamental Freedoms, p. 995-1024. * T. Lock, Walking on a tightrope: the draft ECHR accession agreement and the autonomy of the EU legal order, p. 1025-1054. * S. Thaman, Should criminal juries give reasons for their verdicts? The Spanish experience and the implications of the European Court of Human Rights decision in Taxquet v. Belgium, p. 613-668. * J., Costa, On the legitimacy of the European Court of Human Rights' judgments, pp. 173-182. Bosnia and Herzegovina - judge in respect of Bosnia-Herzegovina, Mrs Ljiljana Mijovic, tendered her resignation, which will take effect on 1 November 2011. The terms of office of judges elected in respect of Croatia (Ms Nina Vajic), the Czech Republic (Mr Karel Jungwiert), Poland (Mr Lech Garlicki), the Russian Federation (Mr Anatoly Kovler), Sweden (Ms Elisabet Fura), and the United Kingdom (Sir Nicholas Bratza) expire on 31 October 2012. 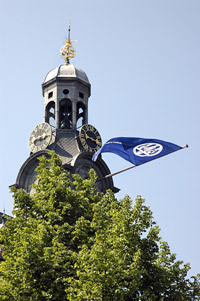 The Netherlands - judge in respect of the Netherlands, Mr Egbert Myjer, tendered his resignation, effective 1 November 2012. As one can see, no less than nine elections are to be held, with some of the most senior judges leaving the Court.